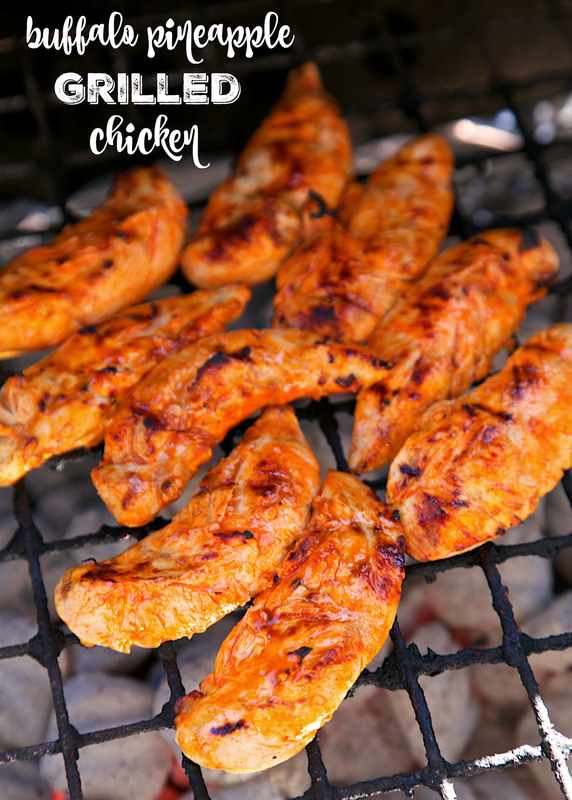 Buffalo Pineapple Chicken - chicken marinated in buffalo sauce and pineapple juice - grill, pan sear or bake for a quick weeknight meal. A little spicy, a little sweet and a whole lotta delicious! Ready to eat in 15 minutes! 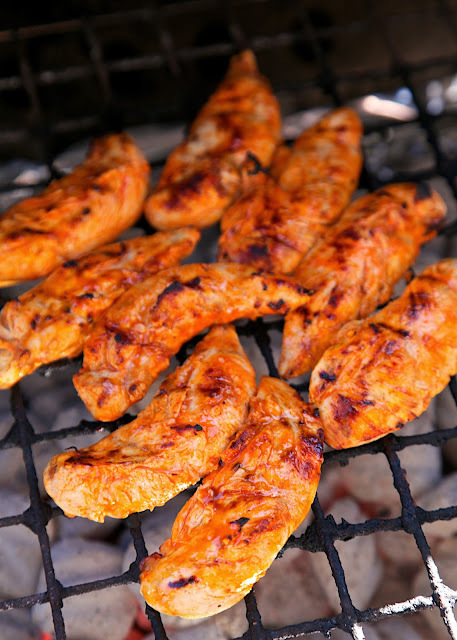 These Buffalo Pineapple Grilled Chicken tenders are a new favorite. They are super easy to make and they taste fantastic! I like spicy food, but I don't want it to burn my mouth. This chicken had just enough kick to it. You taste more of the buffalo flavor than the heat. I think the pineapple juice mellowed out the buffalo sauce. These Buffalo Pineapple Grilled Chicken tenders only take a minute to prep and then they can hang out for a few hours in the fridge. I wouldn't let them sit too long in the pineapple juice - chicken can get mushy if you let it marinate in lots of fruit juice too long. 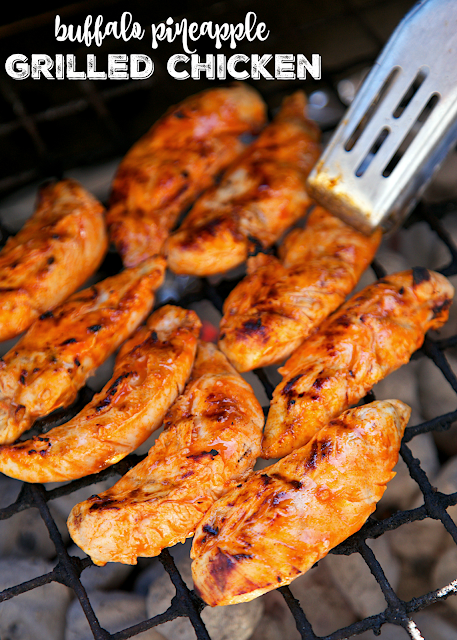 We grilled the chicken, but you can certainly cook in the a skillet if you don't grill. It will taste fantastic either way. We loved the flavor combination of buffalo sauce and pineapple juice. A little spicy, a little sweet and a whole lotta delicious! Whisk together hot sauce, pineapple juice, garlic, oil and salt. Pour over chicken and marinate a few hours to overnight. Holy cow, my two favorite flavors together! Looks so delicious. Pinning for later!